Get 20% extra free on shows booked for 2019! 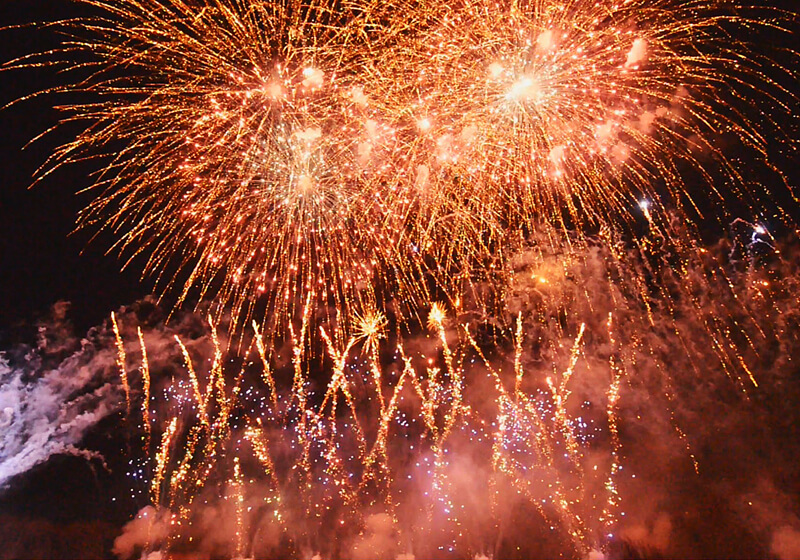 Sonning Fireworks based in Berkshire are one of the top fireworks display companies specialising in high impact celebration and pyromusical fireworks displays like you have never seen. 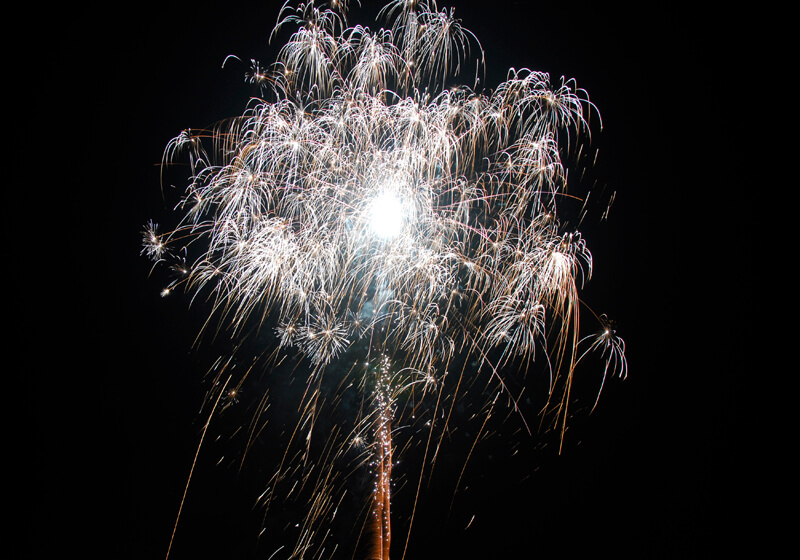 Fireworks will add a unique dimension to your corporate event, wedding, or party. Unlike most companies we fire all our shows electrically creating effects that are not possible with traditional hand firing methods. Our winning formula is applied to all our fireworks displays whether that is fireworks to music or traditional fireworks shows. This will ensure that your guests leave the event amazed and in awe. Please feel free to look through our site, watch the videos and read our testimonials. If you have any questions or would like to talk about possibilities for your event we'd love to hear from you. A "perfect end to a perfect day", this is what our clients tell us and they are right! Fireworks like no other wedding entertainment will finish off your wedding in grand style. Fireworks displays are memory makers, they create a talking point well into the future, literally the perfect end to your perfect day! Pyromusical shows are the pinnacle of pyrotechnic entertainment! They combine the emotion of music with the excitement of fireworks into a stunning musical theatrical show. This is the ballet of the fireworks world! If you are from the corporate entertainment world you will understand how important it is to provide top notch entertainment. 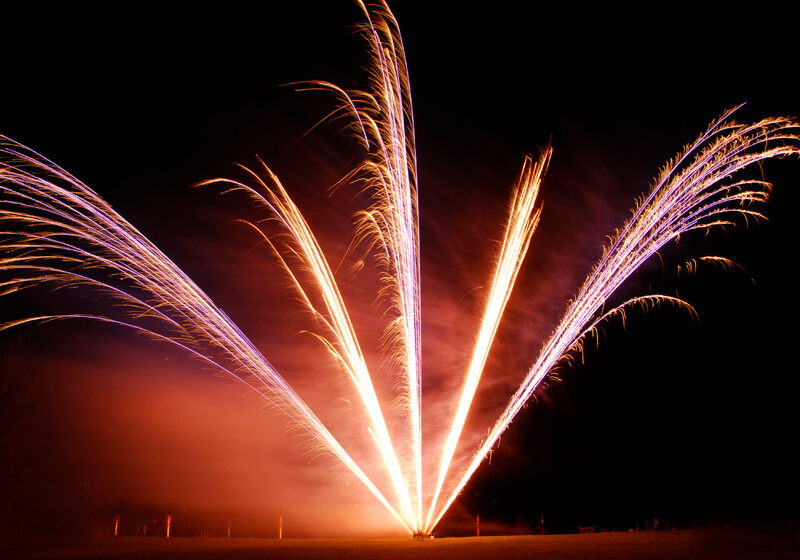 Sonning Fireworks are not just another "fireworks" company we are your partner in production excellence! Whether it be a staff party, product launch or customer day we can add value and quality to your event. When it comes to public events we understand that gaining a good reputation takes years, losing it can take seconds. We ensure all our shows especially those for public events will fire, on time, every time. Over the years we have helped rescue failing events bringing them back to their former glory and beyond. Birthdays, anniversaries, new years eve, even funerals! We've performed firework displays for them all. 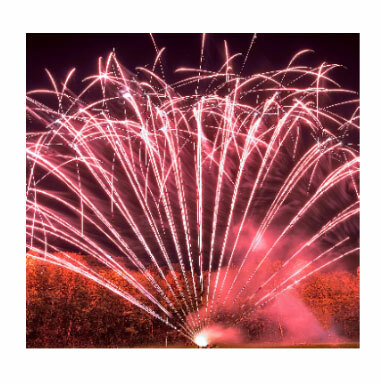 Low noise firework displays for any sound sensitive venue. Whether the firework display will be in a built-up area, for an elederly care home or in need to take attention of nearby wildlife, pets or livestock. 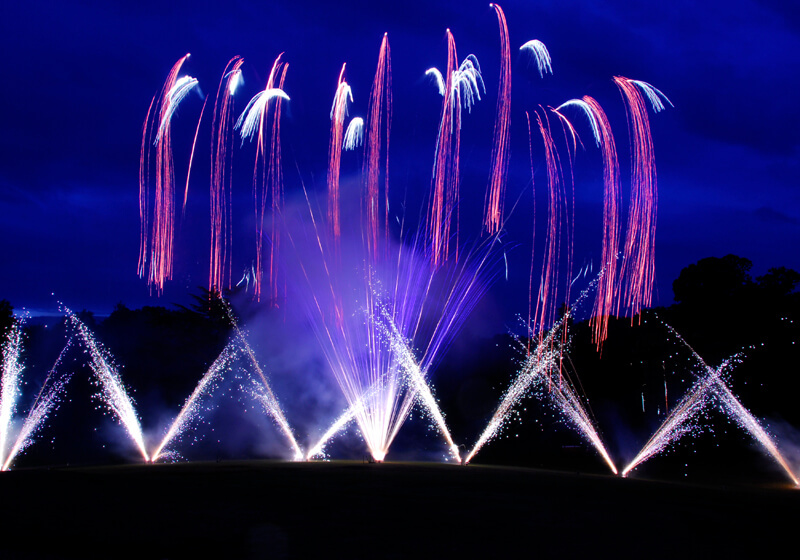 At Sonning we can put on a stunning quiet firework display. 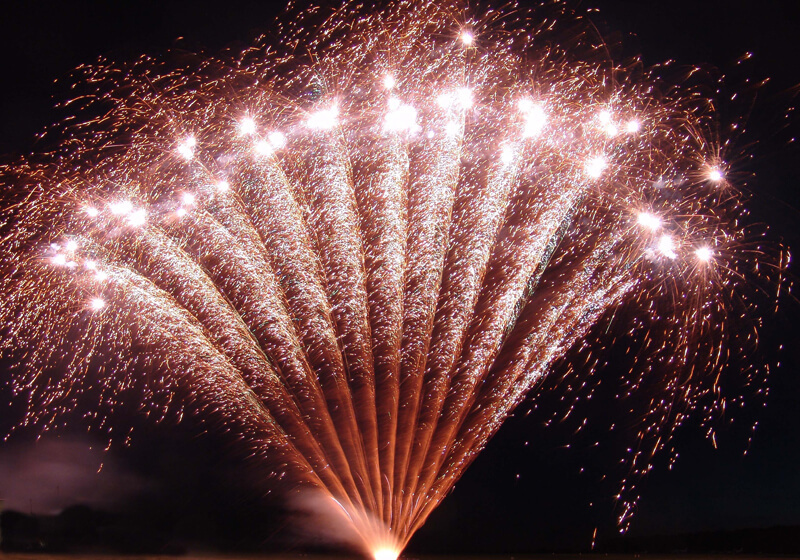 Sonning Fireworks differs from other companies in that our sole business is providing professionally designed firework displays. We do not sell fireworks - our very existence is determined by our ability to impress our clients and their guests. A perfect fireworks display should have its audience captivated from the first burst to the grand finale in a continuous progression of ever more exciting effects. Each display is thoughtfully designed to make the most of the site it is fired in and our client’s chosen expenditure. We do not offer “standard packages”. This enables us to stay at the forefront of fireworks display design. We are passionate about fireworks and we love to entertain! Whether it be a fireworks display perfectly synchronised to your chosen music or an awe-inspiring traditional show our form of explosive entertainment will blow you away. Based in Reading and Marlow, we mainly work in Berkshire, Buckinghamshire, Hampshire, Oxfordshire, Surrey and London however we do travel across the UK. 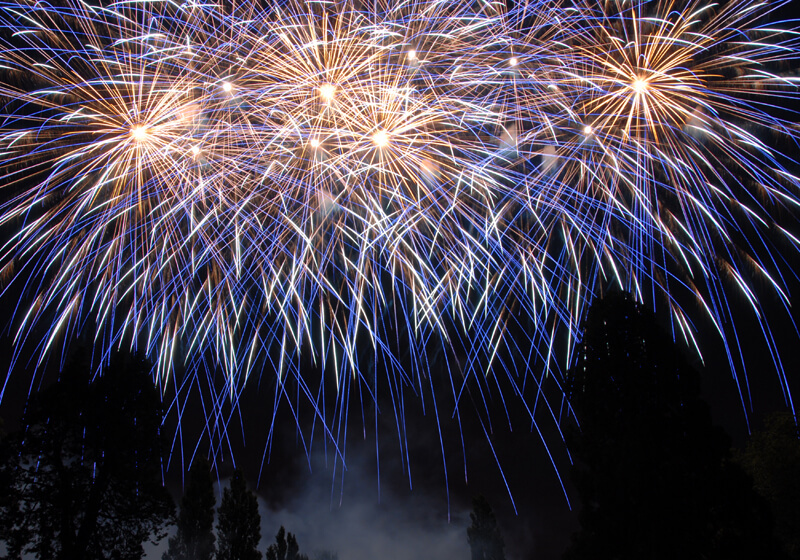 Why should you choose Sonning Fireworks to fire a show for you? 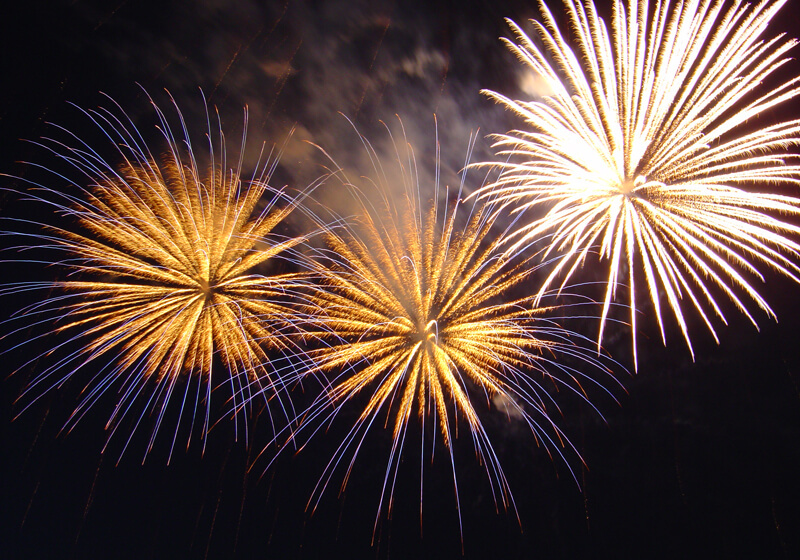 The team at Sonning Fireworks are passionate about fireworks. We strive to create excitement and pleasure for all our clients, every show is special, every client has a story. A company director will take your calls, will answer your emails, will arrange a site survey, will design your show and most importantly will oversee the setup of your show. This is rare in the fireworks industry and something we are proud to say! We have produced a comprehensive company risk assessment covering all aspects of our business. This is reviewed at regular intervals and is actually beyond levels that HSE require. Each firing site has a risk assessment which is reviewed dynamically on the day. Our equipment is of the highest standard and will withstand the rigors of the UK weather and regular use. Although every show is overseen or signed off by a company director we aren't super hero's, therefore we require crew to help. Our crew are hand picked for reliability, integrity and attention to detail. A lot of our crew are from the events (sound/lighting engineers) or engineering industries. 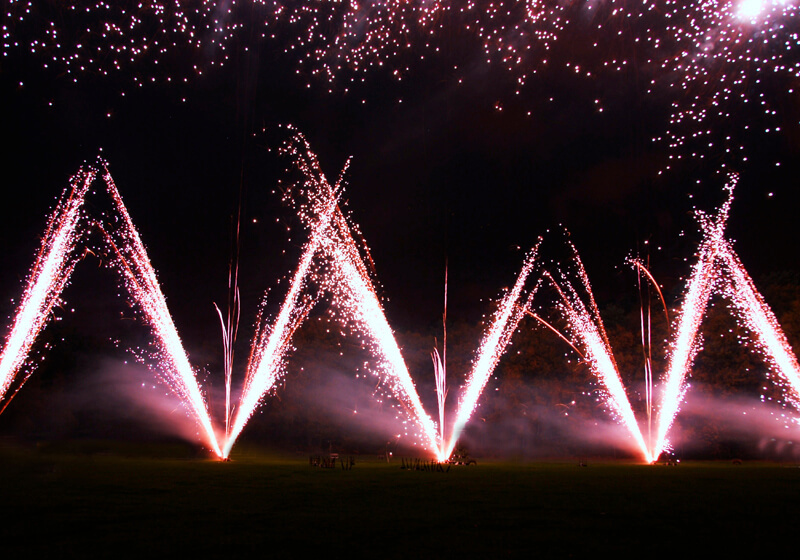 Sonning Fireworks was formed in 1998 and some of the founding directors were involved in pyrotechnics way before this. From roof top displays, to pyromusicals, wedding, corporate, public events, you name it we've done it. 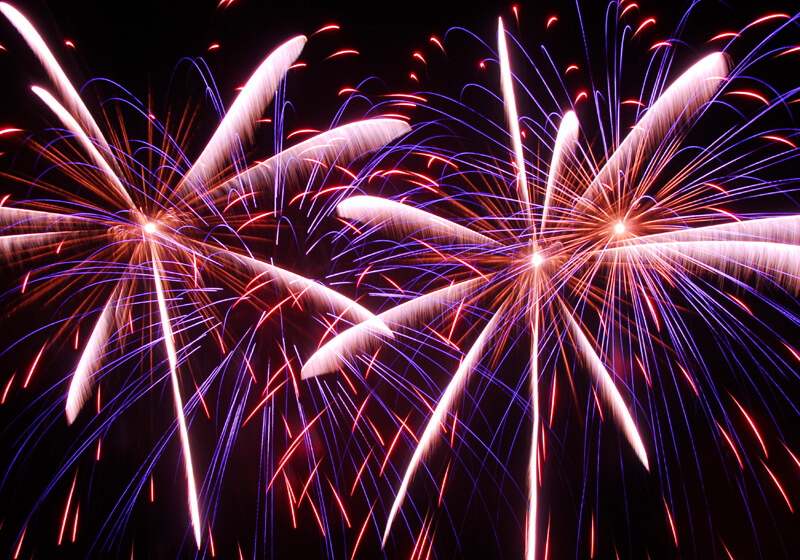 With Sonning Fireworks you don't just get a supplier you get a partner, the success of your event is important to us. The days of hand firing single fireworks one after another after another is well and truly gone for Sonning Fireworks! We are one of the few companies that fires 100% of their shows using a computer firing system. This ensures a seamless, accurate and exciting show every time! In fact Chris one of our directors runs Lumatech Systems who develops firing system software for companies all over the world! You can't ask for better than that!